Density is a convenient means of identifying solids and liquids. Density, however, is not measured directly. It is instead calculated from two or more simple measurements. Density represents the ratio of an object’s mass to its volume (the amount of space it occupies). 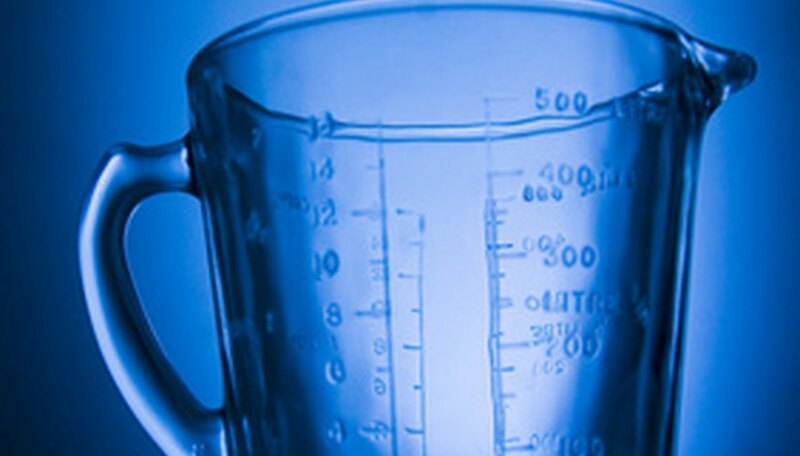 Measuring the density of a solid or liquid therefore necessarily involves two measurements (mass and volume). In the sciences, these measurements are usually stated in metric units, such as grams (g) for mass, and milliliters (mL) or cubic centimeters (cm³) for volume. In these units, pure water has a density of 1.00 g/mL. Two methods are available for measuring the volume of a solid object. If the object has a regular geometric shape, such as that of a cube, sphere, or cylinder, then the object’s dimensions can be determined by measurement with calipers or a simple ruler. You must then, however, know the equation for the volume of that shape. The volume (V) of a cylinder, for example, is given by V = ?r²h, where r is the cylinder’s radius and h is its height. NASA provides a convenient online formula sheet. The second method of determining the volume of a solid is by cubic displacement. This method requires a water-filled container with graduated volume markings. A kitchen measuring cup would suffice, although a graduated cylinder used in chemistry labs would be more accurate. In either case, the container would be filled about half full with water and the object then submerged in the liquid. The difference in the water level before and after the object is submerged gives the cubic displacement, which is equal to the object’s volume. For example, if a measuring cup was initially filled to 4.0 oz. and then read 4.6 oz. after the object was submerged, the volume of the object would be 4.6 – 4.0 = 0.6 oz. Volumes for liquids are determined by placing the liquid in a container with graduated volume readings marked on the side. In most cases, this will be the same container that is used to hold the liquid while its mass is measured. Measuring cups or plastic syringes work well for this purpose. Make certain, however, that the volume of liquid is the same volume that is weighed when the mass is determined. After the mass and volume of the solid or liquid have been measured, divide the mass by the volume to calculate the density. Elmhurst College; C.E. Ophardt: What is density? Brubaker, Jack. "The Best Way to Check Density." Sciencing, https://sciencing.com/way-check-density-6063708.html. 24 April 2017.